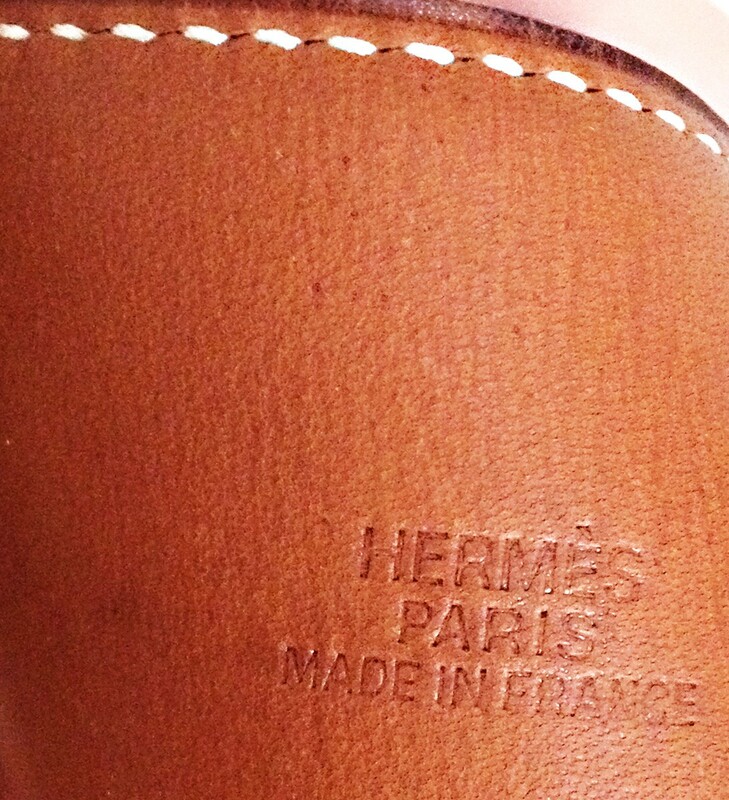 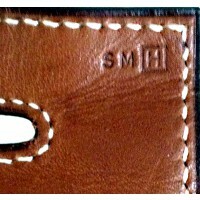 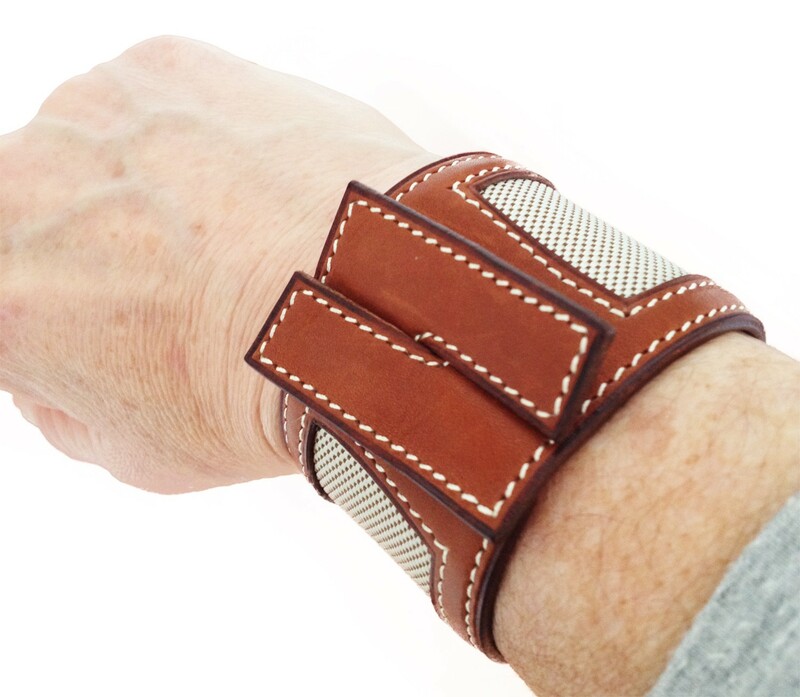 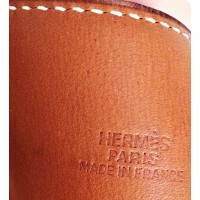 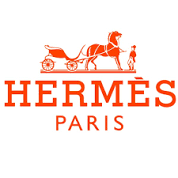 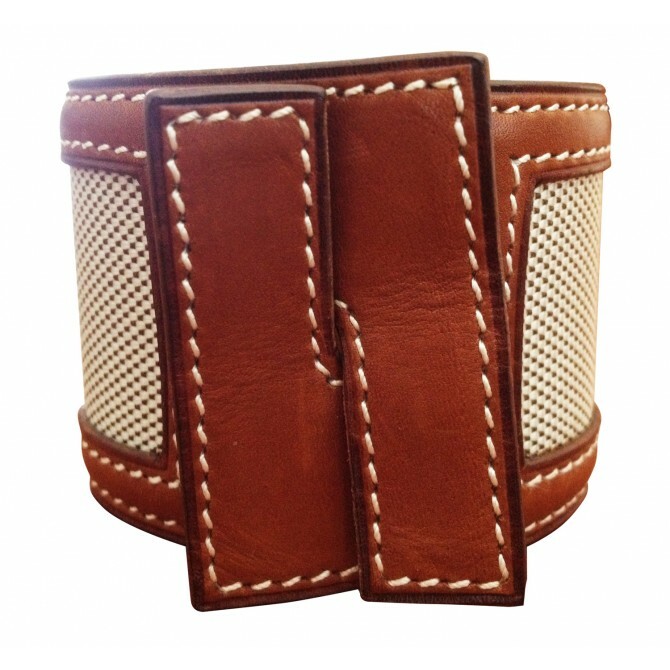 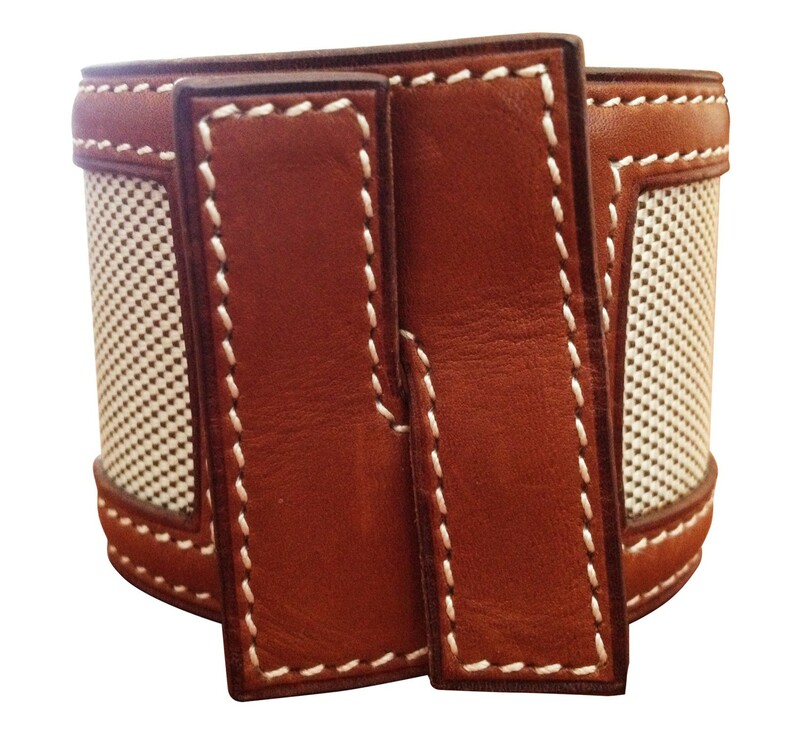 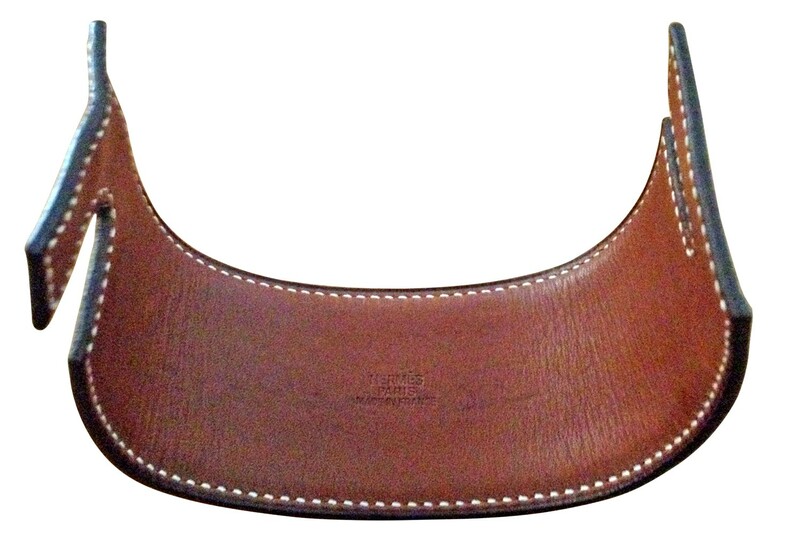 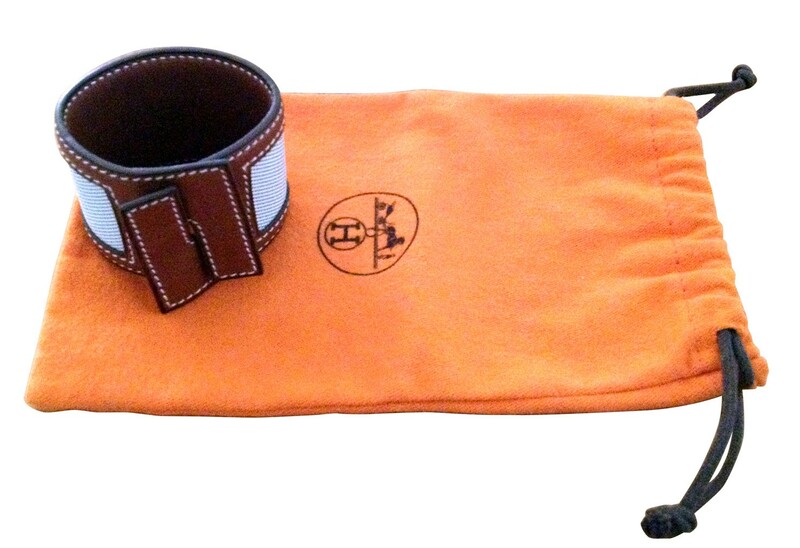 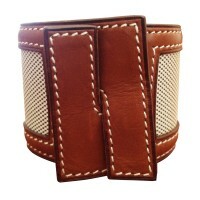 Rare Hermes bracelet, cloth wide band surrounded by tan leather and white stitching detail,. 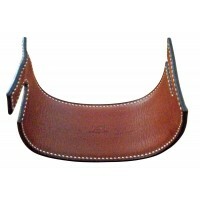 Closure with leather bands intertwined, no metal parts, very comfortable to wear and very impressive. 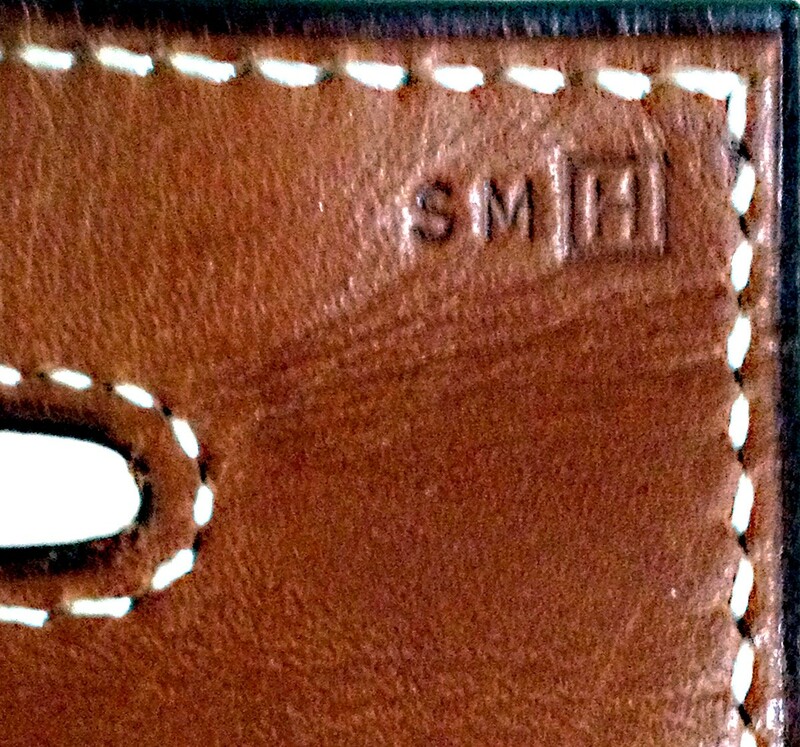 Letters SMH (the H in a circle) and S on the opposite side.